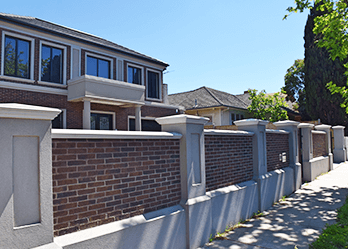 For custom-designed fences and gates, Melbourne residents go to Custom Brick Fences. 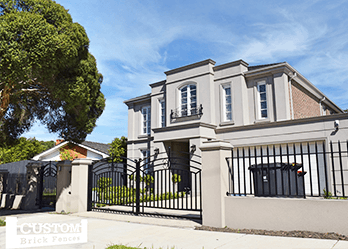 We’ve been one of Melbourne’s top production companies specialising in customary fences and gates for over 15 years. 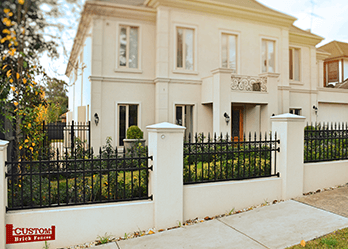 Whether you live in Essendon, Brighton or Mont Albert, our fences and gates are suitable for homes across Melbourne. We consider ourselves the best in the business when it comes to creating exclusive fences and gates. Mount Albert customers will benefit from our broad product range, which caters to both functional features and aesthetics. Whatever your reason is behind requiring a fence or gate, you’ll definitely find what you’re looking for at Custom Brick Fences. Our products extend from brick and steel fences, to automatic electric gates, and wrought iron gates. At Custom Brick Fences you can get your ideal fence or gate through our custom-design services. We produce your fence or gate based on your suggestions and special requirements. This flexibility means you’ll have a direct input into the production of your fence or gate, and in turn, be guaranteed the perfect solution for your home. With help from our experienced and friendly professionals, you’ll be able to select the size, colour and style for your new fence or gate. Whether you are interested in a secure gate to protect your home, or you are want to enhance your home with an elegant style, we’ve got a wide selection of fences and gates. 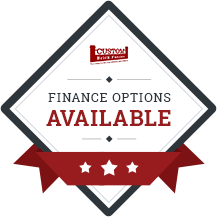 Mont Albert residents can call us or visit our store today to speak to a fence and gate professional. In addition to Mont Albert, we also provide services in Nunawading, Ringwood, Sandringham, Surrey Hills, Templestowe, Toorak, Wheelers Hill and surrounding suburbs.